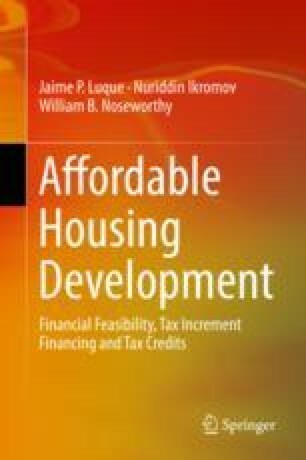 This chapter discusses the Low-Income Housing Tax Credits (LIHTC) program from the perspectives of the developer and the state housing authority responsible for distributing the tax credits. First, we describe the LIHTC program, how projects are financed with it, why investors are interested in LIHTC projects, and the details of the two main tax credit programs: 9% and 4% credits. Then, we discuss the perspective of the state housing authority. We consider the nature and duties of the housing authorities. We then move on to examine the mechanics of LIHTCs, how they work, and why they work for both the housing authority and the developers. We use Wisconsin’s state housing authority, Wisconsin Housing and Economic Development Authority (WHEDA), as an example of how states distribute tax credits. We examine the nature of WHEDA’s scoring system, what a developer can expect in this process, and how to prepare for a WHEDA application. In the third part of the chapter, we consider the perspective of the developer. We examine the process of establishing site control, the benefits of working with a small firm for these projects, the basics of the program from the perspective of a successful developer, including which tax credits they prefer to apply for and why, and some of the challenges associated with the LIHTC program.